If you can afford to burn hundred-dollar bills like cigars, you can do professional desktop publishing with applications like Adobe InDesign ($600.00) or Quarkxpress ($600.00). Otherwise, you can do professional desktop publishing with the free open-source Scribus Professional Desktop Publishing Application. 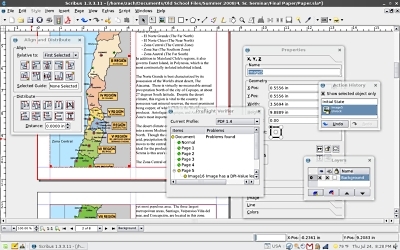 Scribus is a free professional open-source desktop publishing program comparable to leading commercial applications such as Adobe PageMaker, PagePlus, QuarkXPress and Adobe InDesign. It supports professional features, such as CMYK color, spot color, separations, ICC color and robust commercial grade PDF. 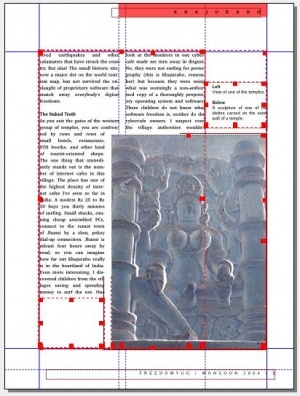 Scribus is designed for flexible layout and typesetting, and the ability to prepare files for professional quality image setting equipment. It can also create animated and interactive PDF presentations and forms. It supports most major image formats in addition to SVG. Professional type / image setting features include CMYK colors and ICC color management.